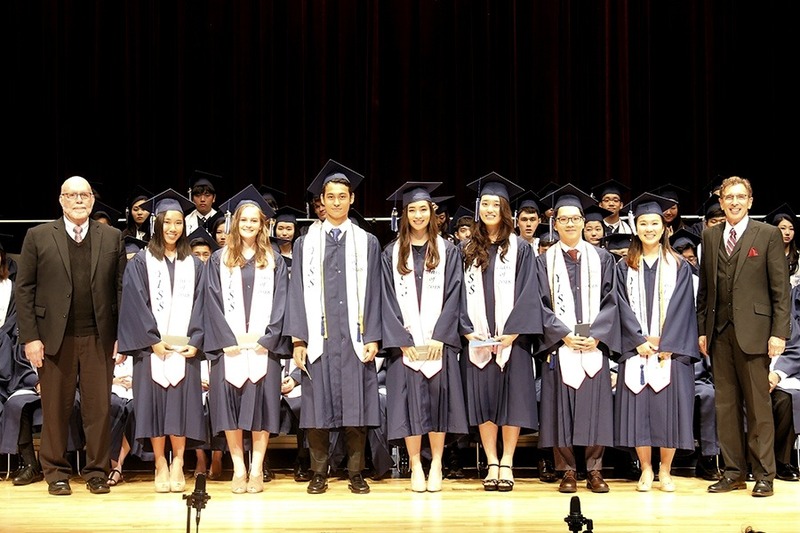 The YISS Class of 2018 graduated on the evening of June 1, 2018. The commencement ceremony signified a milestone in the lives of the 71 graduates as they began the next stage of their lives. Friends and family members gathered on Friday for the ceremony to commemorate the accomplishments and achievements of the graduates. 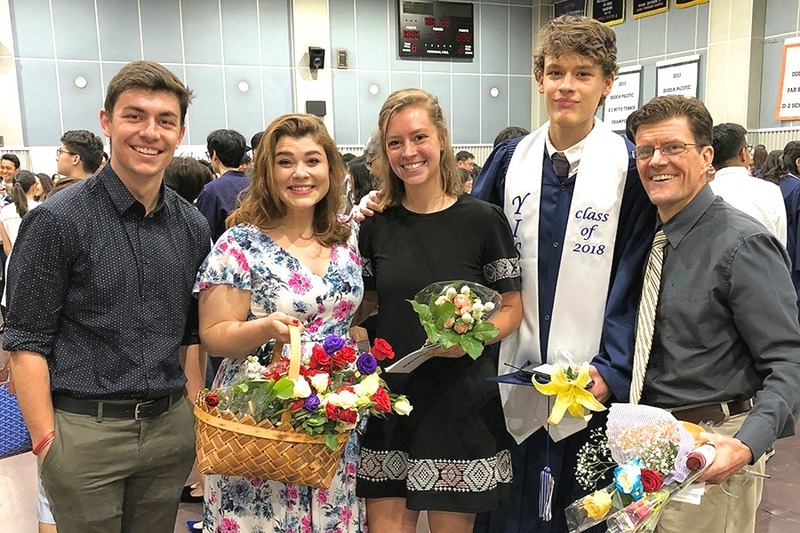 Throughout the evening, they heard an address from Mr. Ray Johnson, the headmaster, a charge from Mr. James Biersteker, a high school social studies teacher, and encouraging speeches from their classmates. Several students were also honored with generous scholarships from the Korea Foreign Schools Foundation (KFSF) and the YISS PTO. The graduates in the Class of 2018 hail from different regions across the globe, and their goals for higher education equally represent a diversity of locations, interests, and goals. Ranging in majors from journalism, to biomedical engineering, and product design, the Class of 2018 hopes to continue exercising the talents and passions they cultivated during their time as students at YISS. 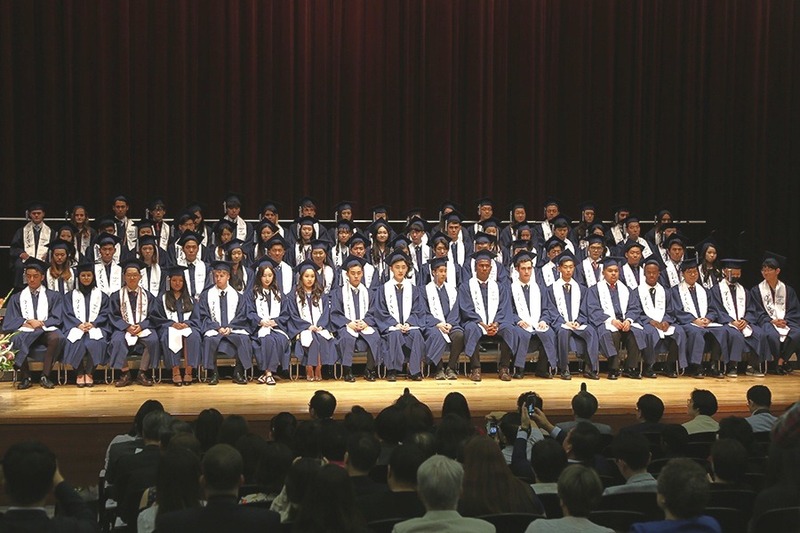 For the faculty and staff of YISS, the graduation ceremony was an emotional time that represented a culmination of the time and effort that was invested into each graduate. The evening was a chance to recognize student successes as well as those of the whole community. Along with the reception in the gymnasium filled with photos, flowers, and refreshments, the entire evening was not only memorable but an inspiration for things to come. Congratulations to the YISS Class of 2018. We wish you all the best!